First Kiss Friday with Lizzie Tremayne & a Giveaway! Welcome to another First Kiss Friday! 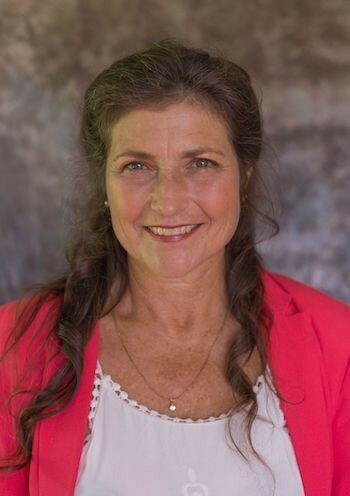 Today, I am happy to have one of our newest authors to join the Bluestocking Belles, LIzzi Tremayne. If you leave a comment for Lizzie, she’s offering an eBook to one lucky winner. We hope you enjoy this first kiss scene from A Long Trail Rolling. Take it away, Lizzi! My heroine, Aleksandra, had already met the hero of the story, but… they weren’t exactly friends yet. SO this is actually Aleksandra’s first kiss, though it’s not with the hero! If you want to read about Aleksandra and Xavier’s first kiss, you’ll have to read A Long Trail Rolling, Book One of The Long Trails series. 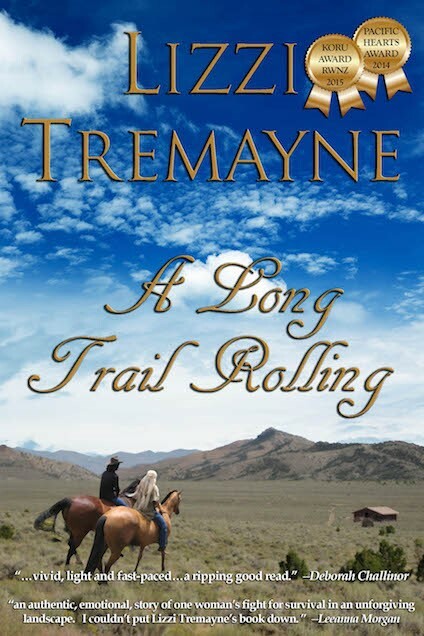 Today I’m giving away an ebook copy of A Long Trail Rolling to one lucky commenter. I’m looking forward to hearing from you! In our excerpt, life had turned upside down for Aleksandra. She’d just found her pa dead of a sword wound, she was alone, and the tribe of Shoshone she’d grown up alongside wouldn’t take her in—for her own safety. Hope was far from Aleksandra’s reach, her heart in tatters somewhere lining the bottom of her empty chest, as she and Dzień wandered down the mountain toward their cabin. She understood how the deepening rift between the settlers and the indigenous people wouldn’t let her safely live in their midst, but what of Dancing Wolf? How did she miss his deepening feelings for her, when they were close as brother and sister? Aleksandra was attracted to him, but accustomed only to the overt displays of affection in her family, his increasing reservation toward her as they matured had blinded her to what might have been. She shook her head to clear it and smiled as she thought of their leave-taking. Dancing Wolf had accompanied her from the village and stopped at their old halfway meeting point. The tall young man dismounted from his pinto Mustang and for only the second time since they were children, wrapped his arms around her and held her close as she sat her pony, silent, for long minutes. Aleksandra nodded. ‘I understand, though I feel the rest of my family has truly died now. With you, I also leave much of my heart. May we meet again soon, my special one.’ She kissed the top of his head, bowed against her breast. He lifted his face to hers, his eyes deep pools of darkness, searching into her soul. Their lips met in their first kiss, the intensity of his touch shocking Aleksandra, and she drew back for a moment. His lips continued warm and insistent against hers as he wrapped his arms around her. She sighed and melted into him, her arms moving about his neck of their own volition as she breathed in his musky scent. She felt a gripping tension deep in her belly as he deepened the kiss, and inhaled sharply. He pulled back slowly, his eyes darkened to black, then smiled at her, while he shook his head slowly and let his breath out. Brushing the stray strands of hair from her face and taking her hands, he kissed her softly on the lips once again. He looked down at her hands between his. ‘What we might have had—’ he started, then paused. ‘—cannot be, my special one,’ she said into the silence, ‘but I will always remember.’ She tried for a smile, looking at him through bleary eyes. Her hands still shook, but at least her heart felt like someone had kindled a small fire inside, and it was warm. ‘Go now, dear one of my heart, my Kwahaten. You cannot be mine, but I will always be here for you.’ Smiling at her, he swung onto his pony as Aleksandra turned her own Mustang and rode back down the mountain. So, not the first kiss with the hero, but Aleksandra’s first kiss… 🙂 I’m giving away a digital copy of A Long Trail Rolling, Book One of The Long Trails series to a random commenter. Just leave your comments below and good luck! Lizzi has two wonderful, grown-up boys and an awesome partner in this sea of green. When she’s not writing, she’s swinging a rapier or shooting a bow in medieval garb, riding, driving a carriage or playing on her hobby farm, singing, or working as an equine veterinarian or science teacher. She’s multiply published and awarded in fiction, special interest magazines and veterinary periodicals. Remember to comment to go into the draw for a copy of A Long Trail Rolling! Happy Friday, Lori, and thanks for dropping by! Lori Dykes, you have won a copy of Once Upon a Vet School! I’ll contact you offline. 🙂 Congratulations!